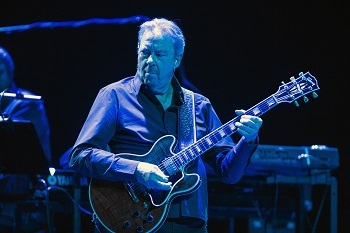 Boz Scaggs is a singer, songwriter, and guitarist. He just recorded his nineteenth studio album: "Out of the Blues." With a career that now spans five decades - he's recorded psych rock, folk, soul. He's probably best known for yacht rock smash hits like Grammy award-winning "Lowdown" and "Lido Shuffle." Both tracks were singles on 1976's critically acclaimed album "Silk Degrees" – the record went platinum five times. Recently, his work has steered more towards the basics: some blues, some covers here and there, lots of stripped down instrumentation. But behind all that has been a commitment to atmosphere and production - music with an aesthetic that's dark and unsettling in one moment, then in another tender and loving. We'll listen to a few tunes from his new album, which features a collection of blues songs like "Rock and Stick" and "On The Beach" – a somewhat obscure Neil Young composition. We'll also listen to "Got You On My Mind" from his debut solo album from 1965. His debut solo album was a collection of covers and traditional tunes. This song was originally composed by Howard Biggs & Joe "Cornbread" Thomas. At the time, he still performed under his birth name – William R Scaggs. Boz says it had been decades since he last heard that song. He'll explain why he pleasantly surprised we were able to dig up the song and play it for him. He'll also tell Jesse why he thinks his singing voice is better now than it ever was before, and describes the first time he felt like a musician. Boz Scaggs just kicked off a huge nationwide tour with shows in dozens of cities. Check out tour dates here. Check out this interview on YouTube! 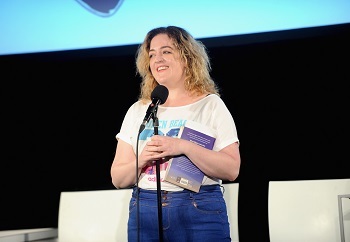 Maeve Higgins is a comic and memoirist, very well known back home in Ireland. She moved to the New York City about five years ago. Naturally, she worked her observations about America and the Big Apple into her set. The new routine really made her question her new reality as an immigrant to the US. She considered what lead her to make the move. What it says about her. What it's like being in this strange, amazing city thousands of miles away from home. She wrote a new book about her experience. It's called "Maeve in America: Essays by a Girl from Somewhere Else." It's a collection of personal essays that show a touching, funny and really human side to the consequences of immigrating to the US. She'll talk about her move to the US, how it impacted her personal life, and why she appreciates the openness of strangers she's met here. Maeve also co-hosts the podcast Mothers of Invention, a climate justice podcast alongside former Irish President Mary Robinson. She'll discuss what it's like to host a podcast with one of her childhood idols. 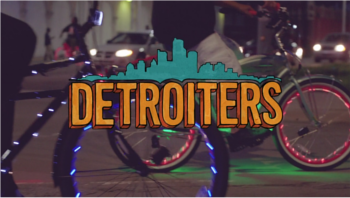 Jesse explains the charming friendship in the Comedy Central show, "Detroiters," which, ultimately, is about two dumb dummies acting dumb.